Walt Disney Studios first feature film to combine live action and animation. 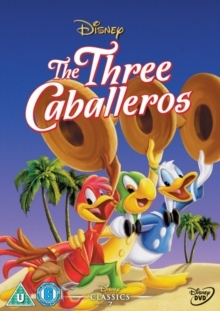 Donald Duck and his friends, Joe Carioca and Panchito, pay tribute to Latin America, make several musical discoveries, learning all about the 'Cold Blooded Penguin' and 'The Flying Gauchito', and get into a spot of bother whilst on their way to Rio. Other Documentary: 'Don's Fountain of Youth' animated short. 'Pueblo Pluto' animated short.